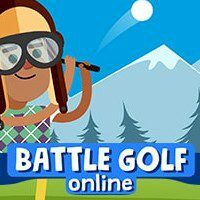 Set up your character for the next golf battle and win your opponent quickly. Play against AI or one of your friends. You need to deliver the ball to the hole faster than your opponent. Get points and win the match!